The Love Sonia actress will reprise Ramya Krishnan’s role in an upcoming Netflix original series. 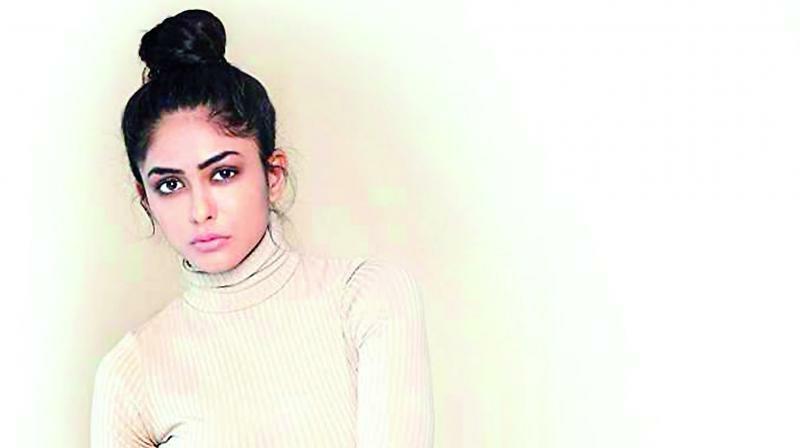 After putting up a good performance in her debut film — the recently released Love Sonia, Mrunal Thakur has now bagged a big project! The Kumkum Bhagya star has been roped in to play the leading lady in the Netflix series based on Anand Neelakantan's book The Rise of Sivagami (the prequel to Baahubali — The Beginning). Filmmakers Praveen Sattaru and Deva Katta, who are helming the series, believe that Mrunal has the looks and grace to play the role of Sivagami, played by Ramya Krishnan in Baahubali. Apparently, three new sets have been erected at places where Baahubali was shot. “Netflix believes the drama surrounding the mythical kingdom Mahishmati has great potential to be a winner. They are shelling out a bomb to bankroll this series and want to release it in 90 foreign languages,” informs a source. Rahul Bose and Atul Kulkarni will be seen in pivotal roles. The first season has begun shooting recently and will have nine episodes. Ekta Kapoor, Harleen to re-unite? Raakshasudu is a crime thriller! No more ‘bad luck’ for Rakul Preet Singh!